David A. Dupell is the recipient of the 2014 Philadelphia Society for Information Management’s Future Leader Award. The award recognizes outstanding achievement and the potential for leadership in the information systems field. 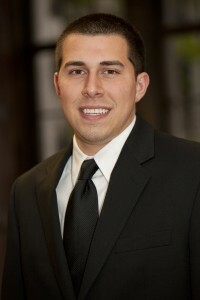 David is a senior majoring in Management Information Systems (and Accounting). He maintains a 3.85 grade point average and has earned numerous scholarships. David placed second in the international AIS student competition in the IT Risk case category. The competition was hosted by Walmart. He has interned at AmerisourceBergen and The Dow Chemical Company. David volunteers for Temple University’s Income Tax Assistance program. He is also the VP of Finance for TUAIS, the Student Professional Organization for the Department of Management Information Systems. The award was presented on October 1, 2013 at the Philadelphia SIM quarterly membership meeting. With over 3,000 members and 31 chapters throughout the US and Canada, SIM is the premier society for IT executives focused on networking, leadership, and education.